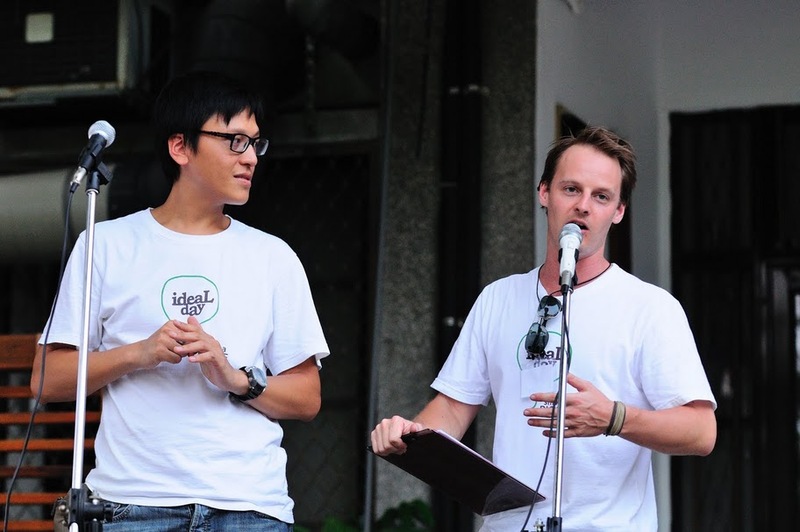 My new friend Dan is part of Ideal Day, a group for social action, philosophical discussions, and the promotion of social change through raising money and awareness about various causes. In May, they had their first event to raise money for a few different charities– and this weekend, the cause was the environment. 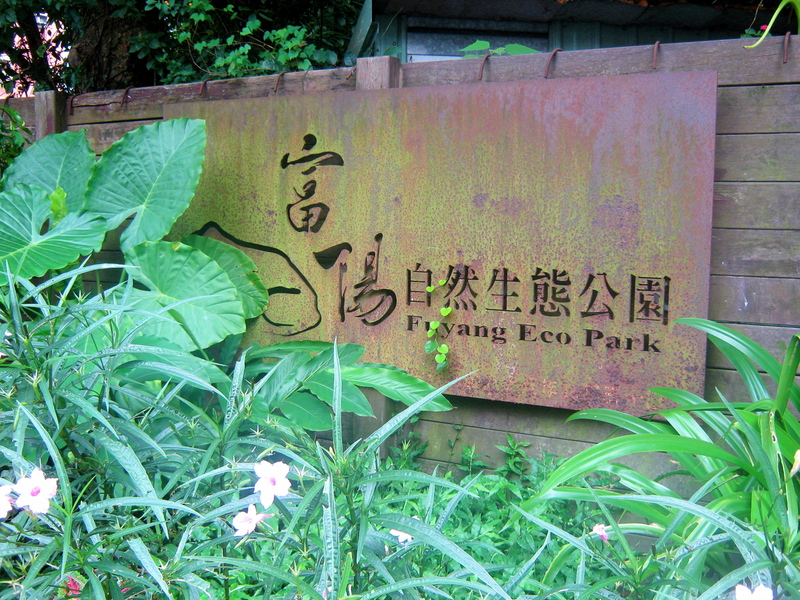 Fuyang Eco Park was an apt location, then, since it represents a victory by NGOs in Taiwan to promote green spaces, and preserved otherwise potentially endangered species. As a speaker from the Society for Wilderness, an NGO formed in 1996, explained, the park was a converted property that used to be part of the military training grounds (probably part of the nearby Liuzhangli military base), but now there are many different species of animals, that you wouldn’t see anywhere else. This and most other photos taken by the talented Ada Hsu. Check out these and more on the Ideal Day facebook page. 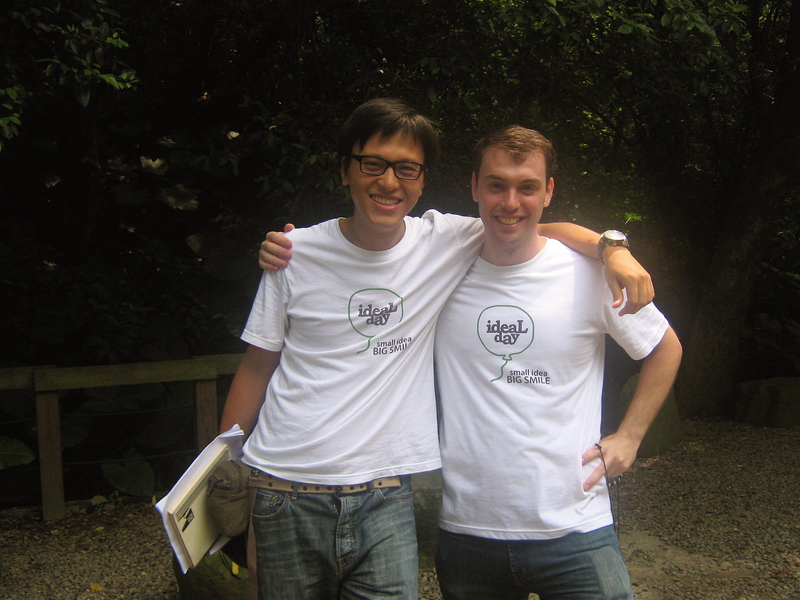 Since Fuyang Eco Park is down the street from the apartment I lived in for 10 months in Taiwan, I know it well! 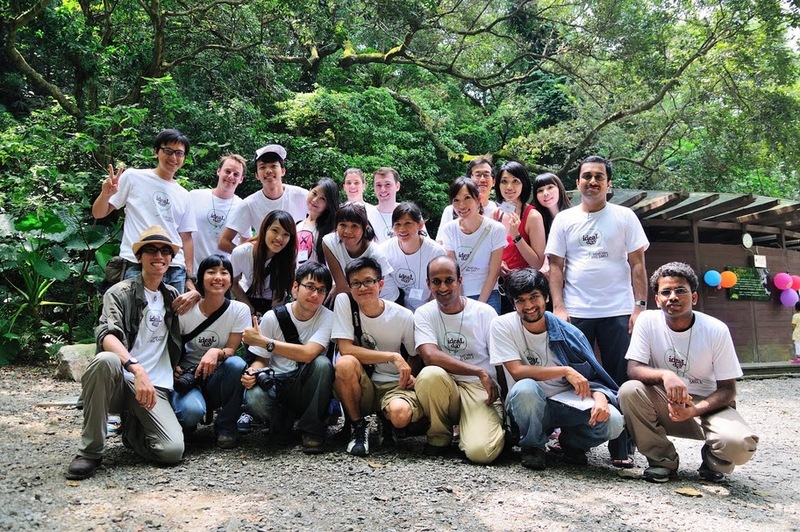 I used to climb the mountain trails, to see the view of Taipei 101, hike around the hills, and along the way, I used to see amazing flora and fauna. There is a butterfly viewing area (Taiwan has more different species of butterflies than any other place in the world! 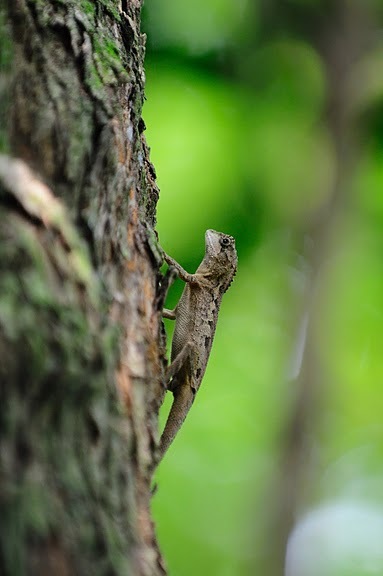 ), and once, my friend and I saw flying squirrels soaring down the mountain paths at dusk. Another time, while drinking beers on tree stumps by the entrance at 2am, my buddies and I watched the park’s local bats. Jim, one of the Ideal Day organizers of the scavenger hunt, said that morning he saw “an insane death match between an enormous spider and an even larger wasp! You know, the wasps that are as big as your fist? It came flying in, stung the hell out of the spider, and then dragged it away. A one of a kind sight!” I told Jim I was sorry I missed it. Ming-Tang and Jim explain the day's adventure to a large group of participants. 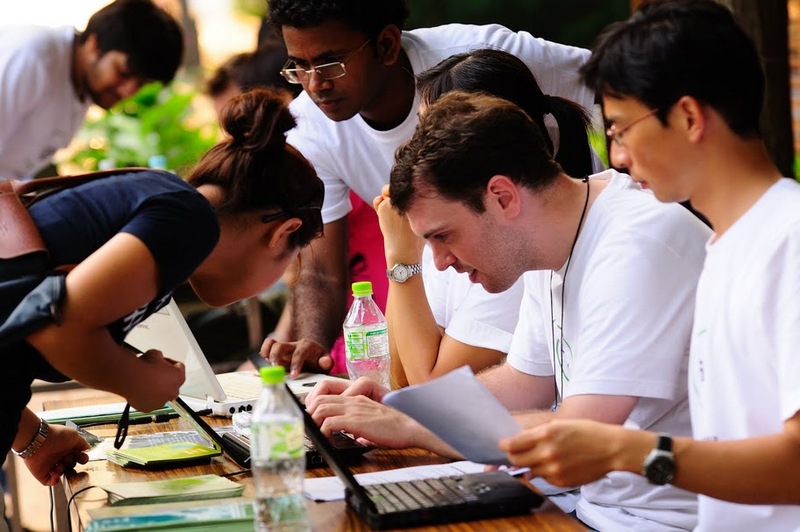 The group Ideal Day does do more than just observe wasps and spiders, however. 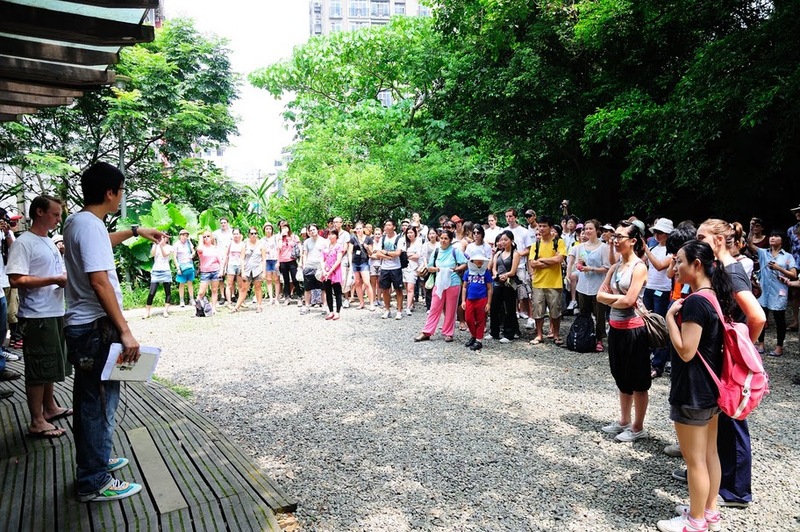 Founded by Ming-Tang Yang and a group of highly committed and enthusiastic young people, Ideal Day set up yesterday’s scavenger hunt to introduce locals foreigners alike to Taipei’s green spaces and environmental preservation efforts. Destinations included 228 Peace Park, the Botanical Garden, and Da An Park– and tasks involved taking photos of different species of animals, answering questions about nature exhibits featured at different locations, and even having some goofy fun among the group! 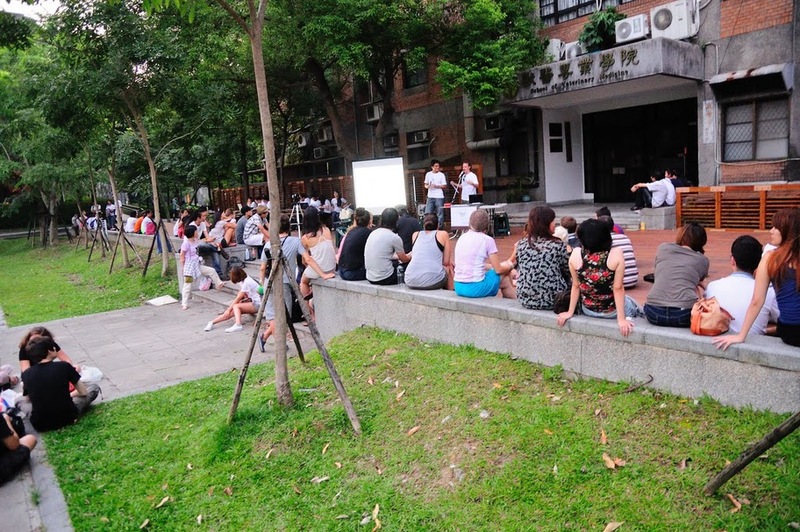 Participants excitedly collaborated to enrich their own experiences of Taipei and to share these insights with the greater community at large. More than 100 people joined in for the day, so hopefully Ideal Day’s hard work has paid off in raising more awareness about the environment, and about their group! Ideal Day organizers and volunteers group photo! 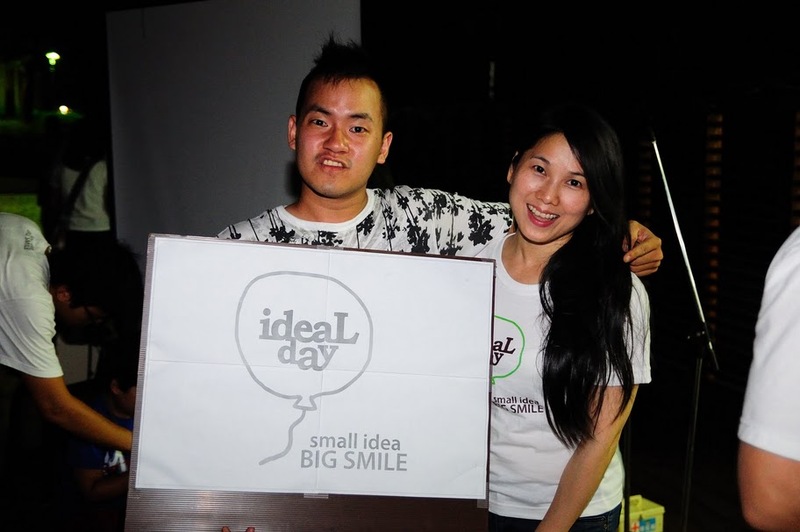 To get involved with Ideal Day and hear about their next event, check out www.facebook.com/IdealDay, or check out their blog: http://idealdayspread.blogspot.com/. OR email idea.1smile@gmail.com. 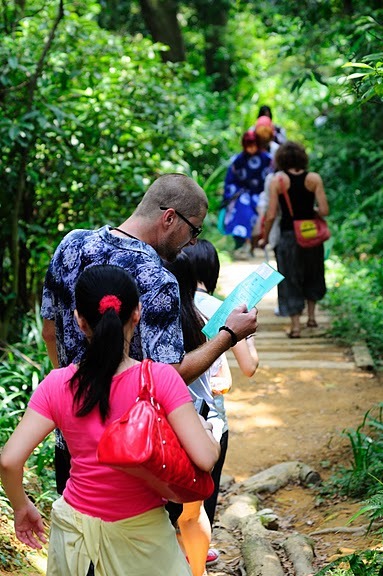 Coming up next is a city walk to see more cultural and natural gems in Taipei– slated for the 3rd week of September. Check facebook for details. So, now to you, readers: How do you discover and appreciate the spaces near where you live? Alone, or with friends? I like to bring a notebook and a camera (or a snack) when I go hiking up a mountain or exploring a park alone, to write in a different setting. What are your favorite activities to do in the natural world?